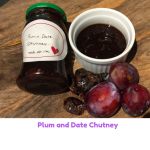 Plum and Date Chutney a great way to preserve any home grown fruit. Thoroughly wash the plums and chop into 1cm big slices, discarding the stones and any bad bits. Thinly slice the onions and cut the dates into thin slices. 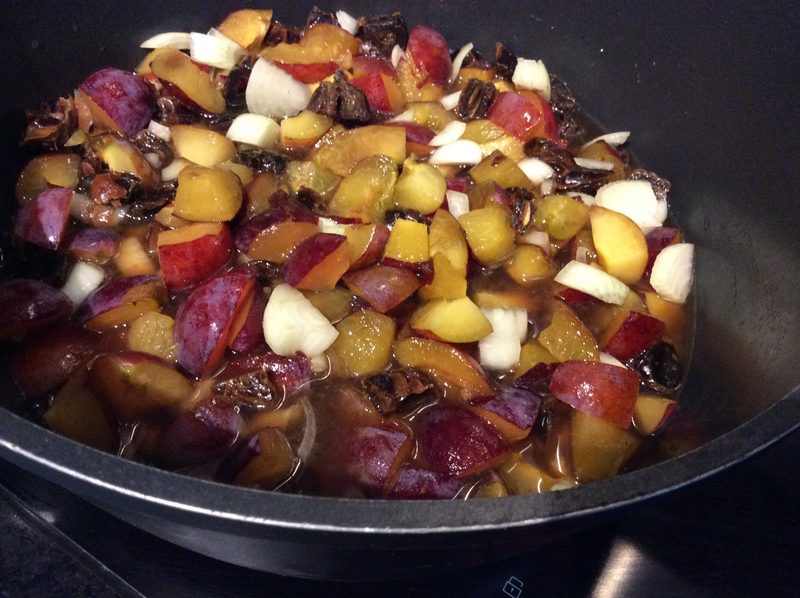 Put all of the ingredients apart from the sugar into a large pot with the lid off and simmer for about 20 minutes until the fruit has gone soft. Then add the brown sugar and cook for 30 to 40 minutes until the chutney thickens to a jar like consistency. Stir every now then to ensure the mixture doesn't stick to the bottom of the pan. If the chutney is still too runny cook a little bit longer checking after every 5 minutes. Remove the large spices: the bay leaf, star anise and the cinnamon stick. 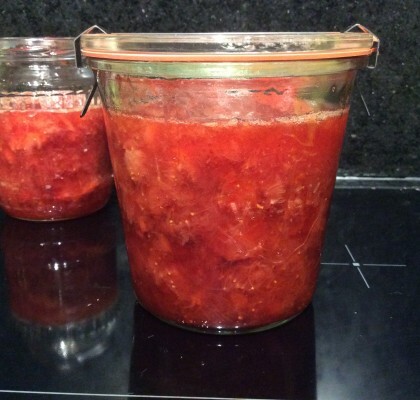 Spoon into sterilised jars (see link below)and leave for a few weeks for the best flavour to develop. Store in the fridge once opened. 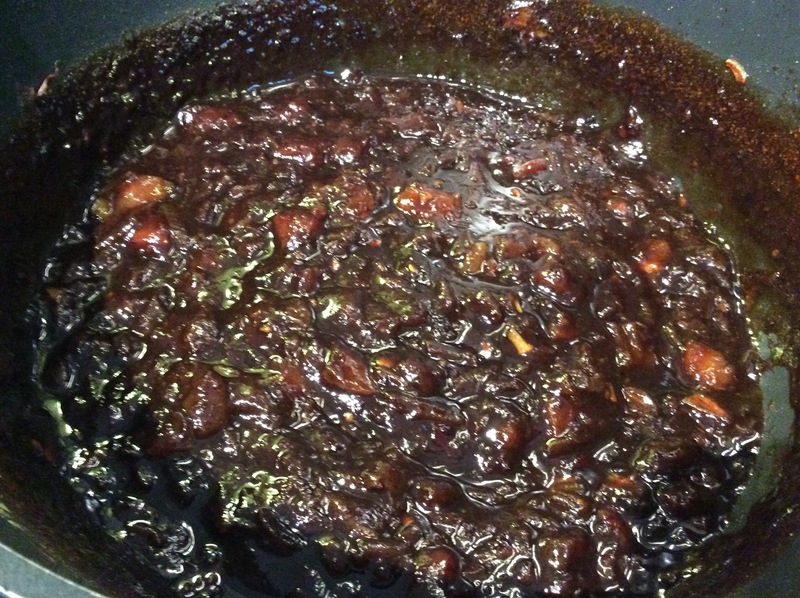 This recipe for plum and date chutney is a great way to use up any plums. You can use ones that are a bit over or under ripe or have been partially eaten by some bugs. Its plum season here at the moment. The small tree in my garden has been laden with loads and plums. We like them, but have to fight for the good plums with Chester the dog who picks them off the tree. 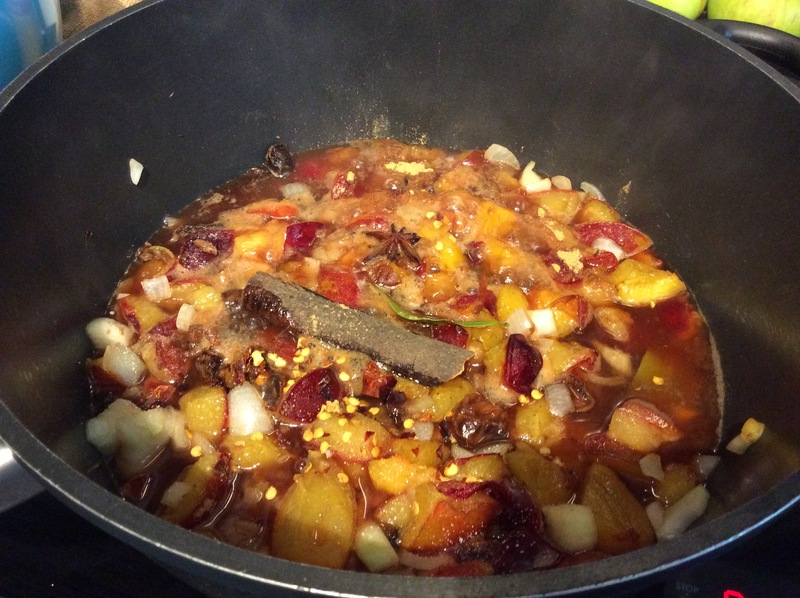 If you aren’t familiar with chutney it is a way of preserving fruit with vinegar and sugar. You then get a savoury sticky jam that is great with cheese or cold meats. 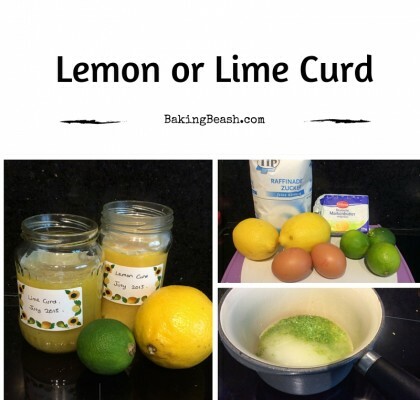 You can even add it into some recipes to add a bit of sweet and sour taste. Be warned you need to make chutneys on a day you can open the kitchen windows it stinks from all of the vinegar. 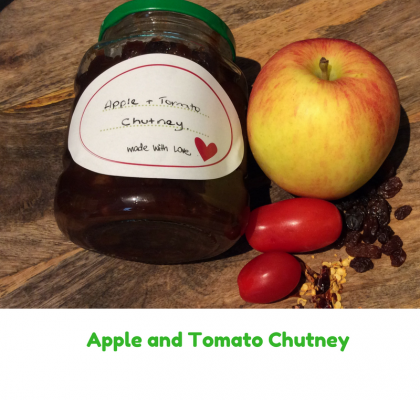 I made this recipe and the Apple and Tomato Chutney on the same day to minimise the complaints. The chutney can be stored for about 1 year in sterilised jars. Check out how to do this on my How to sterilise jars page. It is best to leave the chutney for about 3 weeks before tasting to let the vinegar mellow the flavour also tends to get better over time. The quantities shown here will make about three jars. If you have more plums you could always double the quantities.